The second ski area on Vail Resorts’ Epic Pass opens for the season on Friday, Nov. 6, with Keystone joining Arapahoe Basin (the other Epic Pass resort) and Loveland Ski Area, which both opened last week. All three ski areas in the northern-central Colorado Rockies should see significant new snowfall this week. 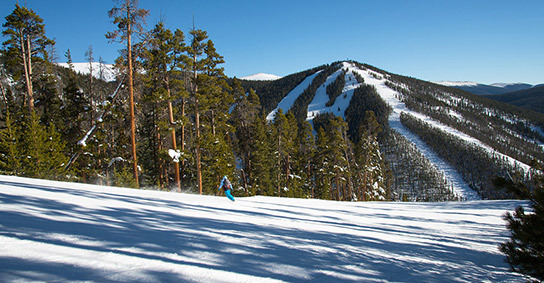 Keystone opens Friday, Nov. 6. But Wolf Creek Ski Area in southern Colorado, which opened Halloween weekend and is re-opening this coming weekend, will likely be the biggest snowfall winner as a storm that already dumped 15 inches at Vail Resorts’ Heavenly ski area in California splits in two and moves to the northeast and southeast. That cut-off southeastern storm, according to Opensnow.com, will move into the state Tuesday night through Thursday, producing a foot or more in the southern Colorado mountains and 4-8 inches in the north-central mountains. It will be quickly followed by a colder storm from the northwest that will produce more snow on Friday. That’s the day Keystone opens for business. Keystone, an hour or so to the east of Vail in Summit County, is offering all sorts of freebies and giveaways on opening day. More snow and much colder temperatures take over next week in Colorado, with another system rolling in Tuesday, Nov. 10. Breckenridge and Copper Mountain are both set to open on Friday, Nov. 13. Vail and Beaver Creek will open Friday, Nov. 20, and Wednesday, Nov. 25, respectively.